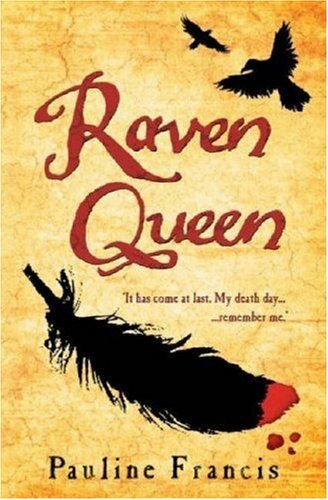 The conflict between the Catholics and the Protestants dominates this story of tragic Lady Jane Grey. Girls of her period and class were always going to be pawns in the pursuit of power and she was no exception. Francis has used a mixture of fact and fiction by introducing a fictitious Catholic boy who becomes Jane’s true love. Jane saves him from the gallows and he becomes a woodman at her father’s manor, where he learns to use the axe with which he will behead her to save her from her horror of a bodged effort. This ill-starred and illicit love is woven into the story of Dudley’s use of Jane to marry his son and seize the throne of England after the death of Edward VI. Written in short, staccato episodes, Jane’s fate, determined by the hate between the new and old religions, moves inexorably to her execution. The differences between Protestants and Catholics particularly in their views of Communion are touched on which lend depth to the story. But the use of Ned, the Catholic boy with ambitions for the priesthood, does not convince this reader. It is difficult to believe that a devout girl of her class would secretly meet a woodman in the forest and even less that her mother upon finding them together would not dismiss him or worse, particularly given the family’s ambition for Jane. The stark nature of the fate of Lady Jane Grey did not really need to be ‘romanced up’ in this way and spoils what could have been a good book.